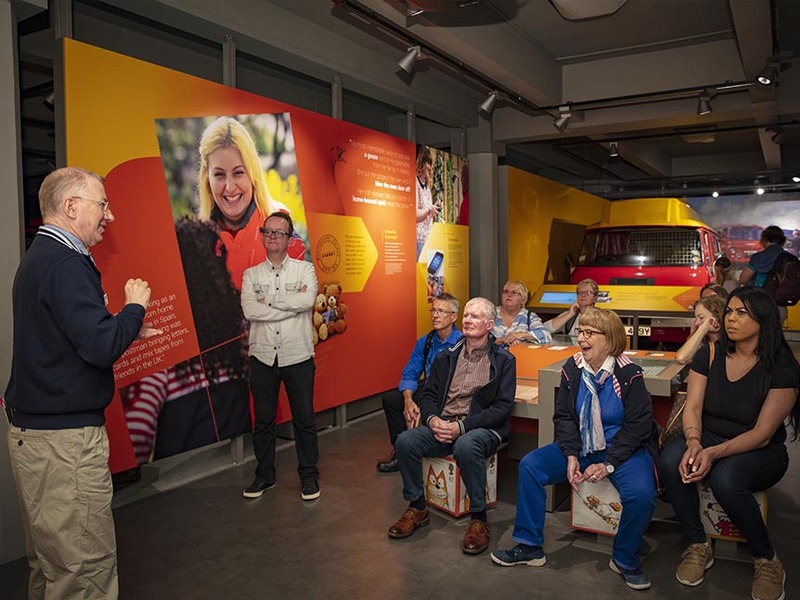 Join us for a BSL tour of The Postal Museum and Mail Rail, with Deaf guide John Wilson, and discover the surprising stories of the world’s first social network. Ride Mail Rail and journey back in time with 15 minutes of underground exploration. Places are limited to 16 people per tour, and must be pre-booked. Bookings are now open for the tour on 14 September. You can use your tickets for entry to the exhibitions at any time from 10.00 on the day of your visit. The guided BSL tour starts at 15.00 and ends at 17.00. Tour meeting point: At 15.00 please meet the Deaf tour guide at a signposted muster point in The Postal Museum Welcome Space. Admission: £3.50 per person. Includes entry to The Postal Museum and Mail Rail exhibitions, the guided tour and a timed ride on Mail Rail. Note there is no English voiceover for this tour which is for BSL users only.